After watching one of the most exciting NBA postseasons in recent memory, the upcoming draft, which is supposedly one of the weakest the league has seen in a long time, might not seem like much more than another chance to for David Khan to embarrass himself on national television. But even if this year's crop of prospective NBA players isn't as strong as usual, there are still plenty of guys available that can have productive careers in the NBA. Following this line of thinking, I have already dubbed the 2011 NBA Draft class as "the year of the role player" and those teams and executives that don't realize the value which will sit before them in just a few days could be making a grave mistake. After all the poking, prodding, speculating, interviewing, and individual workouts have come to an end, the only thing that's left to do is draft the players. With this time rapidly approaching, I've decided to classify some of the available players as a way of showing what kind of value and potential they can have on an NBA roster. Obviously, many of these players aren't entirely one dimensional but let's take a look at where they fit in this year's class. When you're watching an average NBA regular season game it's entirely possible that you can go a few quarters without seeing much of an effort from either team on the defensive side of the floor. After all, the average NBA fan doesn't get excited about a perfectly executed hedge and recover just like Mr. Popper's Penguins doesn't appeal to anyone over the age of 10. But as the playoffs begin to amp up and every game and possession starts to take on greater meaning, the ability to defend becomes much more important and valuable. The players listed above might not have the most polished offensive games but the one thing they're definitely going to do is lock down their man on defense and give their full effort for every minute that they're on the floor. Chris Singleton is the player that many have identified as the best defender in this year's class and with his combination of size and athleticism he should bring a lot of versatility to whichever team drafts him. Kawhi Leonard is still working on improving his shooting touch but if you're an NBA team you really have to love his size, length, athleticism, and motor, all of which have the ability to make him a lock down defender at the small forward or possibly the shooting guard position. Biyombo is a bit of a mystery at this point, as he's just 18 years old and hasn't been playing the game for very long, but there's nothing mysterious about his 7'7'' wingspan and it certainly appears that he has all the potential in the world to become an extremely effective shot blocker at the NBA level. Pretty much all of these players have their limitations, but the one constant with all of them is that they won't be outworked on the basketball court and they possess an intriguing combination of measurables and intangibles. These guys aren't going to lead your team in scoring but if you put them in the right situation, their defensive prowess and hustle can be a real asset. The key word in this category is "functional". There are plenty of guys around the league who could be classified as big men but many of them wouldn't know a low post move if Hakeem Olajuwon hit them over the head with one. Considering the way functional big men have continued to dwindle in today's NBA, those players who are capable of doing more than just taking up space are in huge demand and we've seen plenty of teams in recent drafts reach for a solid big over a more talented guard or forward because they need the height. The players who fit the functional mold in this year's class certainly aren't without risk, but the three guys mentioned above seem to have a decent shot at becoming solid NBA players who can make an impact. The biggest questions surround a guy like Enes Kanter, who has the size and skill that NBA teams covet but he hasn't played organized basketball at a high level in some time and he figures to endure a pretty intense adjustment to life as an NBA center. Nikola Vucevic is another player who has steadily risen up draft boards and not only is he the tallest prospect in the class (measuring a shade under 7'0'' at the combine) but he possesses a well developed offensive game that should allow him to score both inside and out. 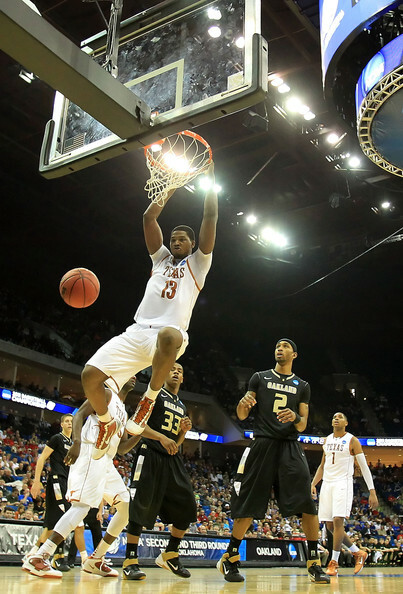 Tristan Thompson doesn't have the size of Kanter or Vucevic, but the former Texas Longhorn has good length and a motor that should allow him to mix it up in the post at the NBA level. The fact that Thompson also sports a strong 230 pound frame at the age of 20 is another encouraging sign that he shouldn't be completely overwhelmed in the NBA. Big guys are generally a crap shoot and just as easily as some will succeed and make the GM who drafted them look smart, others will flame out, never making much of a difference. This year's class doesn't figure to be much different in this instance, but there do appear to be a few players who have the requisite size and potential to improve their games to the point where they can become functional big men. In a regular draft class, there are usually more than just three players on this list and they probably have higher ceilings than the guys listed above, but as many have already said, the 2011 draft class is different. Kyrie Irving and Derrick Williams have essentially been the consensus top picks in the draft since late March and while their futures look promising, the top of this year's draft leaves something to be desired. 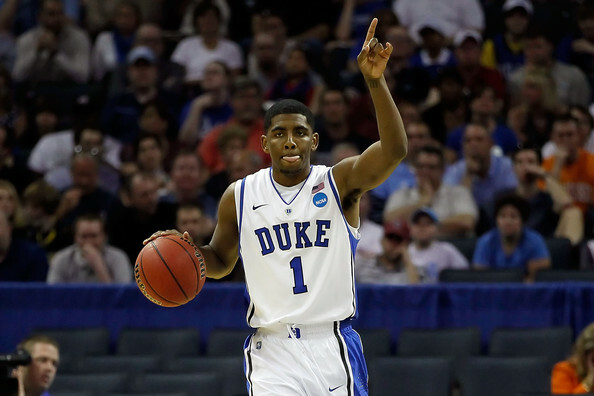 Irving didn't play anything close to a full season at Duke, but when he was in uniform, it was hard to doubt that he was the best player on the court. He has a pretty complete package from a skills perspective when you consider that he's lightning quick, can knock down shots effectively, and has the ability to make those around him better. All signs point to him being the first pick and he should have a very nice career in the NBA. Derrick Williams had an amazing sophomore season at Arizona and although he's facing the dreaded "tweener" label as he enters the NBA, many teams would love to have a player with his size and skills on their roster. 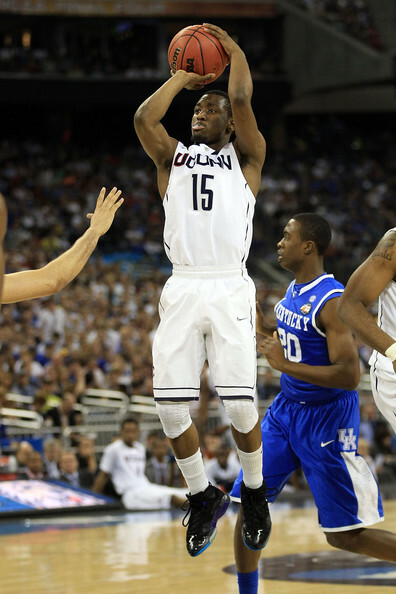 The player who might be flying a little under the radar in this year's draft is Brandon Knight. I don't necessarily mean that from the perspective of where the former Kentucky point guard figures to get drafted, but there hasn't been too much chatter about Knight's potential as a very productive starter in the NBA. At 6'3'' Knight might not have the traditional game that you look for in a point guard but he played the position well enough at Kentucky, he's got great athleticism, and is a better shooter than most people think. His 37.7 percent three point accuracy at Kentucky last season is certainly an indication that Knight is comfortable hitting from long range and while he endured some struggles during his time in Lexington, the young guards performance in the NCAA Tournament against West Virginia, North Carolina, and Connecticut showed how dynamic of a player he can be. We might have to temper our expectations for the stars that may come out of this year's draft and although all three appear to have bright futures, we've seen that being a top pick doesn't guarantee success in the NBA. The defenders might be a little overlooked in terms of value but you can bet that the scorers will get their share of attention on draft night. This year's crop of scorers present some interesting questions for teams around the NBA to wrestle with before they add one of these explosive offensive players to their roster. At the same time, these players should be able to bring an immediate scoring punch to their respective teams while most of them presumably come off the bench and wait for their Jeff Teague moment. The Jimmer Fredette debate has been going on for months now so I won't bore you with anymore commentary on that subject. 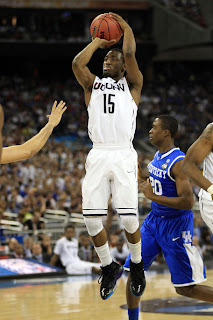 Kemba Walker just had one of the most incredible individual seasons at UConn but many scouts are questioning if he's tall enough to make an impact in the NBA. What we do know about Walker is that he's got an NBA-ready body, one of the biggest hearts in the class, and has a knack for putting the ball in the basket. Klay Thompson has really jumped up draft boards in the last few weeks as it seems that many teams have fallen in love with his size and smooth shooting stroke. At this point it's almost certain that Thompson will be a lottery pick and his ability to stretch the floor now while developing more of a diverse offensive game later, should be a nice asset for whichever team grabs the former Washington State standout. Guys like Charles Jenkins and Marshon Brooks didn't get much hype throughout their senior seasons but the big scoring numbers they put up in college and their recent workouts speak for themselves. Both guys should be solid additions for any team looking to add some scoring depth, and who knows, maybe they'll just surprise everyone and develop into starter caliber players down the road. Most of these guys have a few holes to their game, but if you're an NBA team that's looking for scoring, one of the players on this list should make you pretty happy. Only in the world of professional sports are guys in their early 20's viewed as old. What makes these guys seem even older is that while most players with NBA aspirations leave college after a season or two, these guys stuck around for four years while playing on some of the nation's most recognizable programs. These are the guys who generally have low ceilings at the NBA level, but they also present some of the best potential value that can be had later in the draft. The thing about all of the old men is that they're experienced players who know a lot about the game, two characteristics that give them the potential to help whichever team they land on basically right away. These players don't generally have the upside to develop into superstars down the road, but they often fit well on teams who are looking for solid players to contribute off the bench. After watching Kyle Singler and Nolan Smith compete at Duke for four seasons it's pretty hard to doubt how tough and talented both players are. There are aspects of both players games that aren't tailor-made for life in the NBA, but you know that both Singler and Smith will dedicate themselves to sticking on a roster somewhere. Due to his slight frame, JaJuan Johnson will get pushed around under the basket but the range he's added to his jumper and his ability to block shots might make him a useful player, if only for short stretches at a time. The only non-senior on this list, Shelvin Mack, continues to face doubts about whether he can play the point or if he's big enough to be a shooting guard. At the same time, the famed Butler standout certainly has NBA caliber strength and he's comfortable playing without dominating the ball. Mack's hard nosed defense and experience should make him a candidate to see a few minutes from time to time, and over his career at Butler the 6'2'' guard made a habit of surprising even the harshest of critics. It's possible that many of the old men won't make much of an impact in the NBA, but they're some of my favorite players to root for because they've gone from being the best of the best in college to underdogs in the NBA. There might not be as much upside in these players' NBA careers, but there is certainly some value in drafting guys who know the game and are committed to succeeding. These are some of the scariest players that a franchise can select and if the words "upside" and "potential" were removed from the English language, most analysts wouldn't be able to muster much more than a sentence about any of them. Many of these guys seemed intent on going pro regardless of what kind of feedback they received from scouts and while they obviously have talent, there are definitely some big questions about whether or not they can put everything together in the NBA. These players will need time to develop and adjust to life in the NBA but they can pay big dividends for a team that is willing to take a chance. Most fans don't mind if their team spends a second round pick on a leap of faith guy, but if you find your team selecting one in the lottery, things can get dicey. Tyler Honeycutt and Malcolm Lee will both be looking to continue Ben Howland's impressive run of churning out players who don't look like can't miss prospects in college only to see them thrive once they reach the NBA. Josh Selby has lottery-level talent but a rocky first year at Kansas has his stock much lower than many thought it would be a year ago. On the other hand, Michigan's Darius Morris enjoyed a great sophomore season which put him on the radar of pretty much any NBA team looking to develop a young point guard. Jeremy Tyler is famous for skipping his senior season of high school to play professionally overseas and as you might imagine, things didn't exactly go swimmingly for the young American big man who was thousands of miles from home. 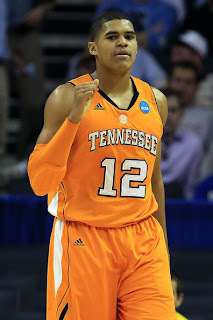 After two years, Tyler's looking to get himself back on track in the NBA and he's got the size and athleticism to be a first round pick but there are many who have questioned his emotional maturity. In a similar vein, Jereme Richmond has an intriguing set of tools but he's very raw and didn't have a great freshman season at Illinois before declaring for the draft. All of these players will require some amount of faith from the teams which draft them, but the potential exists for them to yield big dividends if they can live up to their potential. The Swiss Army knives are some of the more versatile and interesting prospects from a given class but they don't appear to have concrete roles in the NBA as of yet. In much the same way that it's difficult for anyone who doesn't spend prolonged periods of time in the wilderness to decipher what each feature on a Swiss Army Knife is actually used for, most NBA teams may have trouble figuring out exactly where these players will fit at the next level. These guys generally have the size and skill sets to play a few different positions on the court but their success in the NBA will most likely depend on which team drafts them and how they intend to use these versatile players. The Morris twins should both be off the board after the first 20 or so picks and although they look exactly the same, there are some differences to their games. Marcus is a little smaller and is the more skilled player of the two, while Markieff has a little more size and should have a better chance of making a living under the basket as a professional. Both players can hit the outside jumper and run the floor pretty well, so the question becomes, do you play them at the three or the four? I could see both of them making an impact at either position but it will be interesting to see how their careers play out. Tobias Harris is another interesting candidate from the Swiss Army group who can excel in a lot of areas on the basketball court but doesn't seem to have a position set in stone just yet. Harris has very good ball skills, is a solid shooter, and he should be able to grab his share of rebounds. At the same time, he's not quite strong enough to consistently warrant minutes in the post, but his perimeter skills and defense could also use some work. Justin Harper is 6'9'', athletic, and he's got one of the sweetest strokes in this year's draft class. When you add it all up, the former Richmond Spider has the potential to be a nice stretch 4 for a team that's picking late in the first round. On the other hand, Harper has been criticized for not being a very active rebounder and his play around the basket might be a little too timid to make him very effective at the NBA level. As a whole, this group presents some interesting choices for GM's to make on draft night and the versatility which each player brings with them can absolutely help an NBA team as long as they're used properly.